Alex Pendlebury was a member of the Year 11 class of 2010. Whilst in Year 11 he studied catering at Warrington Collegiate as part of the Xtra Options programme and he reached the regional finals of the Future Chef competition. 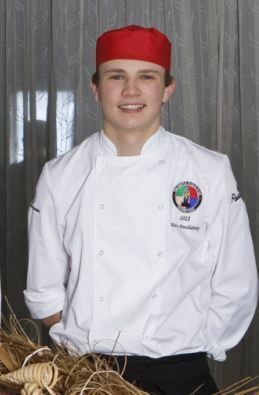 This year he is a full time student at Warrington Collegiate and is part of a team that has reached the semi-finals of the Nestlé Toque D’Or competition. We send our best wishes to Alex and the rest of the team for the next round!